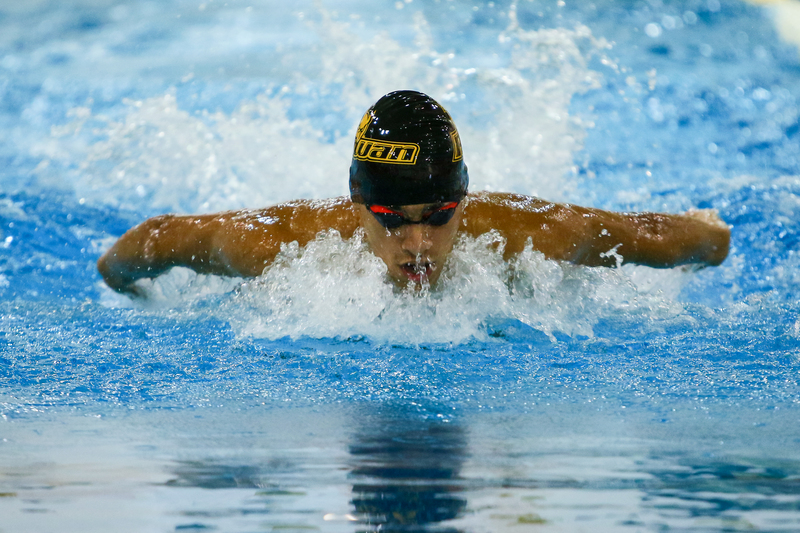 Freshman Youssef Elshenawy swims in a meet earlier this season. Elshenawy won in the 200 butterfly and 400 individual medley this past weekend in the tri-meet. Photo courtesy of Sports Information. We’re not sure what each member of the Rowan men’s swimming and diving team’s New Year’s resolution was, but if any of them wished for blowouts and for 2018 to go swimmingly (bad pun intended), they are getting just that. 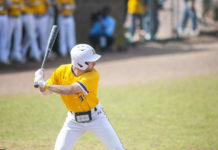 The Profs have opened up the fresh year with three wins, bringing their winning streak to seven. It all began with a dominating 204-94 victory in a New Jersey Athletic Conference (NJAC) matchup against Montclair State University. The brown and gold improved to 3-0 in the conference. Rowan then traveled to Swarthmore, Pennsylvania, for a tri-meet against Stevens Institute of Technology and meet-host Swarthmore College this past weekend. Rowan rolled Swarthmore 180.5-80.5 and surpassed Stevens 170.5-90.5. With wins by 110, 100 and 80 points, head coach Brad Bowser stated it just proves his philosophy told earlier this year about knowing an outcome of a meet before it begins. 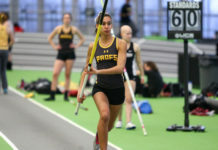 The Profs grabbed eight first-place finishes on the weekend by five individuals, as well as first in the 400 medley. Senior John Tepper won in the 500 and 1,000 freestyle events, senior captain Eric Feuerstein won in both the 100 and 200 freestyle events, freshman Youssef Elshenawy won in the 200 butterfly and 400 individual medley events, sophomore Matt Grubb won the 100 backstroke and freshman Dylan Regan was first in the 50 freestyle. Senior diver Sean Piacente won the one-meter diving [six dives] event against Montclair with 477.30 points. Junior Mike Grubb finished second with 456.40 points, as both he and Piacente qualified for the NCAA DIII Championship. Picente also placed first in the one-meter diving [11 dives] event with 288.65. Grubb came second with 284.10 points and sophomore Chad Shire placed third with 252.50. Piacente was set to attend the NCAA Championships last year but he unfortunately suffered a torn labrum during Regionals after qualification. Rowan’s diving team has undergone a lot of change this season compared to last, to say the least. Justin Eakins entered his first year as a coach in Rowan and former-Prof John Morris is serving as a Volunteer Assistant Diving Coach. Morris graduated last year. When asked about the differences from previous years to now regarding the diving team, Bowser spoke of the connection that the new coaches have with the team. Rowan heads to Ewing, New Jersey, for a NJAC matchup against The College of New Jersey on Saturday at 2 p.m.